Curious how this ancient Chinese table game became such a smash among American Jews that it evolved into a Jewish game. 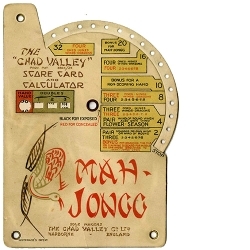 “Project Mah Jongg,” opens at the Museum of Jewish Heritage on May 4 and continuing through December. 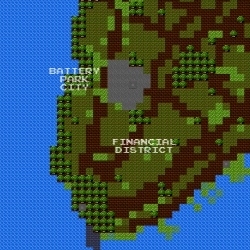 8bit NYC - Zelda 1986 meet google maps. 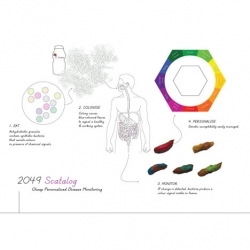 Synthetic Aesthetics seek participants for a project on synthetic biology, design, and aesthetics. MIT’s City Car concept is a zero emission car which is foldable and takes one-eighth the size for parking to an average car. 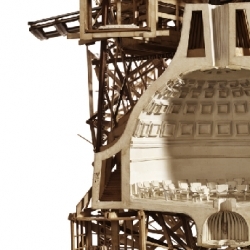 City of the (Re)Orientated: Ben and Sebastian mix an impressive story out of art and architecture. I can look at the complexity forever. Dayboard by Oslo-based StokkeAustad- a brilliant color calendar to visualize the year. This calendar allows the user to arrange the year as one sees fit as each day can be moved around. Wonderwall were the design studio behind the concept for Nike’s first flagship store in Tokyo, which also happens to be the largest in Japan; totaling 946 square meters of sporting gear. I love this map of London from Herb Lester Associates. 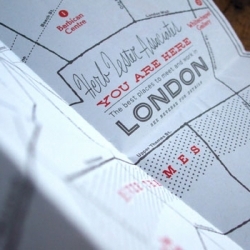 The map charts the most pleasant and civilized places, around London, for a secret liaison, a sneaky skive or an out-of-the-office very-important business meeting. Structural street art in the form of Skullface found around London. 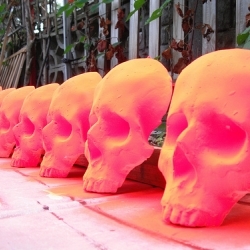 Photos of the colorful skull masks from OKUMANCHOJA's flickr page. 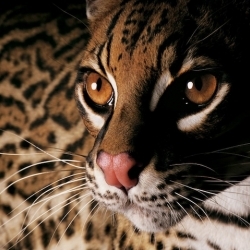 National Geographic photographer Joel Sartore records North American species facing extinction in his latest book, Rare: Portraits of America's Endangered Species. A beautiful book filled with tragic stories. 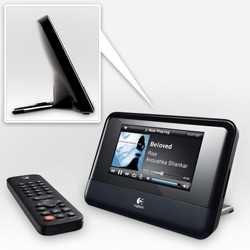 Logitech Squeezebox TOUCH! Latest in the squeezebox line adds touch sensitivity and a gorgeous screen... and check out how pretty the curve in the back is! 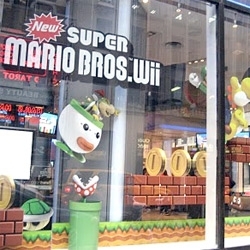 I love A Design Affair's look at Nintendo's window display! With the iPad release a mere few weeks away, Alexx Henry, together with co-directors Cory Strassburger and Ming Hsiung, produced a motion magazine cover and feature spread for Viv Mag. 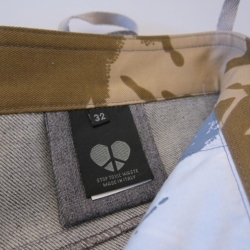 Love the detailing and interior labeling of Griffin's Kingston trouser's that read "STOP TOXIC WASTE". Wise words from a small tag. 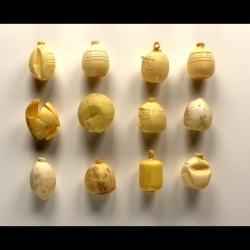 Neatnests are decorative bird shelters for the modern avian mindset. 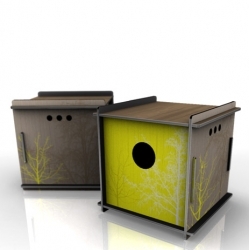 Flat packed and made from scrap material, these are definitely a unique offering in the modern bird house world. 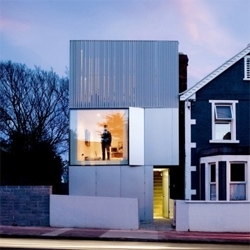 The best of recent architecture in Ireland to commemorate Saint Patrick's Day. PILLOW FIGHT!!! 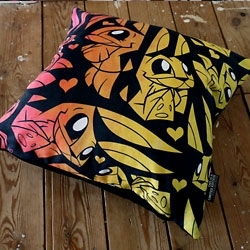 Artists Joe Ledbetter, Nathan Jurevicius, JAW Cooper, HiddenMoves, Chuck U, Vault49 & Zutto enter the fray as ClickforArt launch their Spring line-up of limited edition pillows. 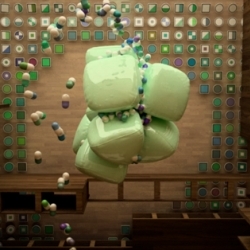 'Peripetics', a video by Zeitguised: "six imaginations of disoriented systems that take a catastrophic turn"... 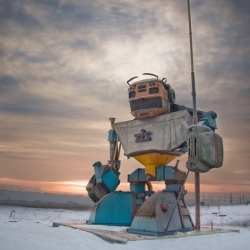 Strange, mechanical and organic at the same time, indeniably inspiring. 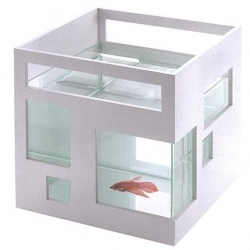 FishHotel, glass fishbowl with ABS plastic outer shell, can be stacked to create a hotel effect. Designed by Teddy Luong. 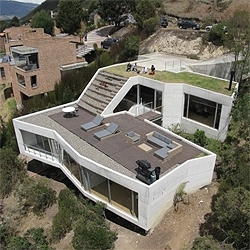 Colombian architects Plan B + Giancarlo Mazzanti recently completed this interesting house on a hill. The structure desegregates to be part of the slope, resulting in a deck with an amazing view over the local wetlands. Massimo De Carlo Gallery presents “Karma”, the first solo exhibition of Dan Colen in Milan. 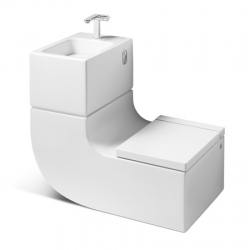 Milan designers Gabriele and Oscar Buratti have collaborated with bathroom brand Roca to create a combined toilet and wash basin called 'W+W', where waste water from the sink is used to fill the toilet cistern. 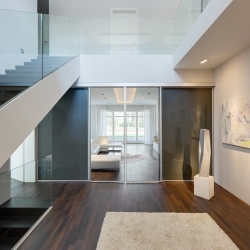 An old Villa in Potsdam, Berlin has been styled into a modern loft with a lot of stylish white. By Berlin Rodeo. 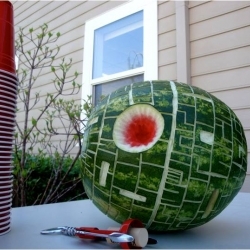 Death Star Watermelons and Cantaloupes at Kuriositas. 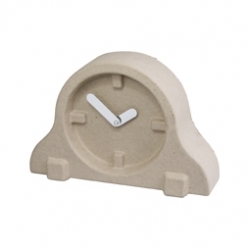 Recycled paper pulp clocks for INVOTIS ORANGE. 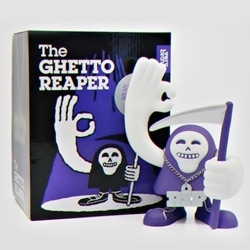 Designed by Chris Koens and Ramon Middelkoop. 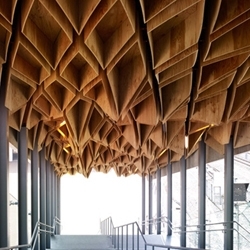 Kengo Kuma Associates realised this renovation of the Hoshakuji Station north of Tokyo. Parts of the station are made from re-used Oya stone which was left over from an old warehouse that existed in this area. 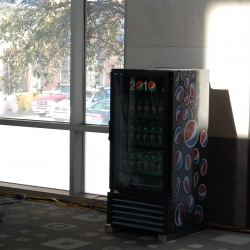 VIDEOSpotted at SXSW! Pepsi's new video cooler. It looks like they're using a projector to display video content directly on the door. 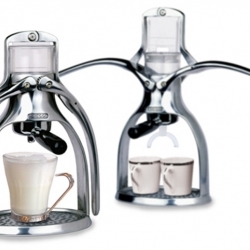 Presso by Patrick Hunt of is an eco-friendly espresso machine that only requires the amount of energy to boil water and human force to operate the press. The product is made out of 100% recyclable aluminum. 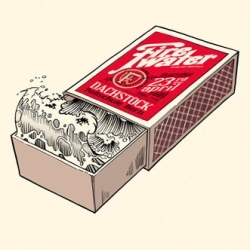 Lovely packing and graphic profile from Tank Design for fish producer Halvors. 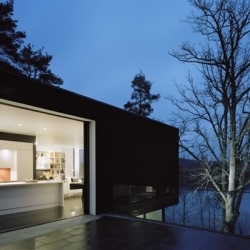 Swedish firm Widjedal-Racki-Bergerhoff create this black and white villa on a sloped plot near Stockholm. Us & Them Studios have made an awesome new art print on wood. 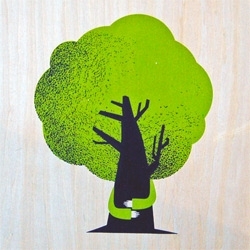 “Treehugger” is an 11″ x 14″ screenprint, has an edition of 10, and is $100. 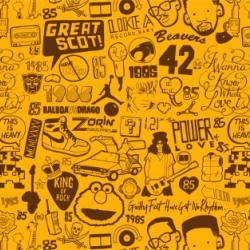 Luke Skinner is turning 25 this year, so to celebrate he doodled some things turning 25 with him. Which you can download as a wallpaper for desktops and iphones. BlackYard is 4 awesome illustrators and graphic designers working in Bern, Switzerland. Happy Saint Patrick's Day! 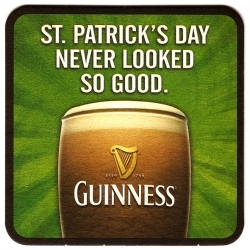 BeerMatsRule celebrates this wonderful holiday with their collection of St. Patty's coasters. Swiss watchmakers Hublot's F1 King. The watch is based on the King Power model, with everything blacked out for a sleek, matte look. 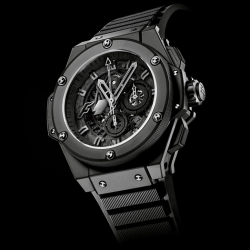 Only 500 numbered items will be on offer before Hublot unveils its next Formula 1 edition. 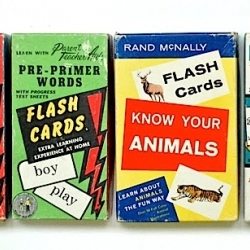 A Collection A Day: A blog documenting a project that will span exactly one year, from January 1, 2010 to December 31, 2010. On each of those 365 days, one collection will be photographed or drawn (and occasionally painted). 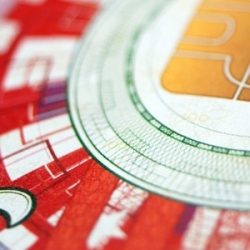 Great illustration for Wired Magazine's cover story:The Future of Money. 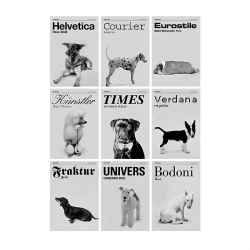 By Aegir Hallmundur over at The Ministry of Type. 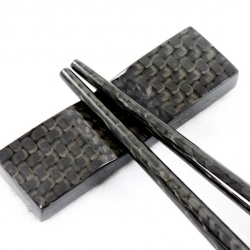 Carbon fiber chopsticks made literally out of a solid piece of carbon fiber. Because of the grade of carbon used, it allows for a non-toxic food/dishwasher safe coating to be applied at 400 degrees. 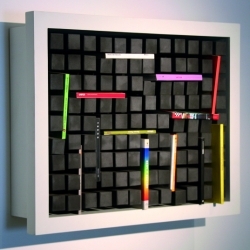 The Type-Cube made of vat paper consists of eight movable cubes, which are connected together. 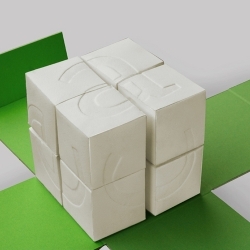 A fragment of a letter is engraved on each side of the cubes. Turning the cubes in different directions several combinations are offered. 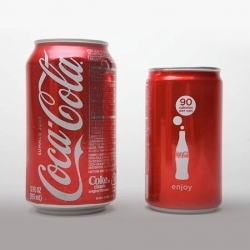 The Coke Mini, holds less than two-thirds of a 12-ounce container, it's stamped with the loud promise, "90 calories per can," instead of the usual "Coca-Cola" script. 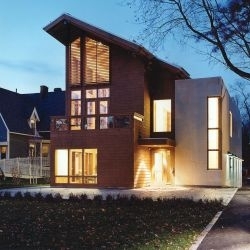 Boston, Massachusetts based architects Leers Weinzapfel Associates, have designed the Zachs Hillel House at Trinity College in Hartford, Connecticut. 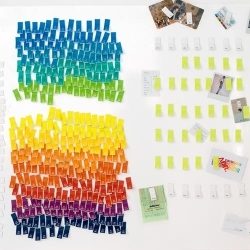 Beach Plastic: All of these lemon juice bottles were found washed up onto Kehoe Beach in the Point Reyes National Seashore, CA. We have made an archival pigment print of our collection.